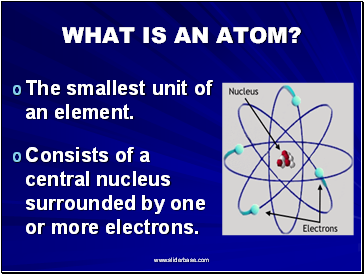 The smallest unit of an element. 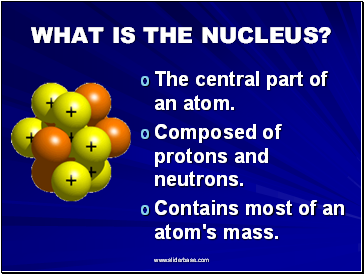 Consists of a central nucleus surrounded by one or more electrons. 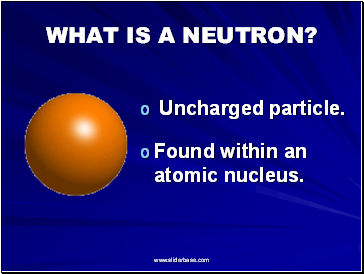 The central part of an atom. 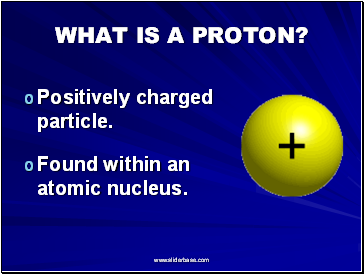 Composed of protons and neutrons. 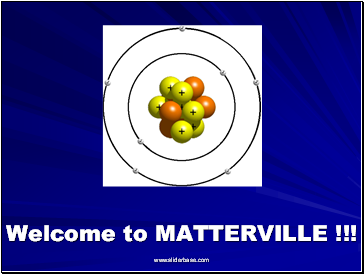 Contains most of an atom's mass. 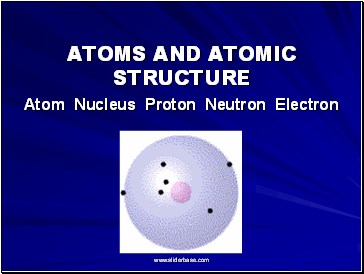 Found within an atomic nucleus. 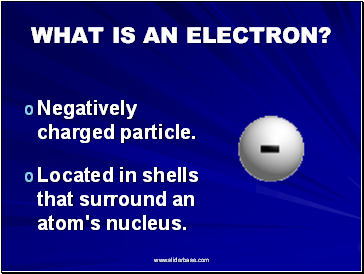 Located in shells that surround an atom's nucleus.